As an ardent believer in the power of education to effect positive change in the world, having a job that allows me to serve teachers—those who make that change possible—is a dream come true. However, after 17 wonderful years, the time has come for me to step aside. 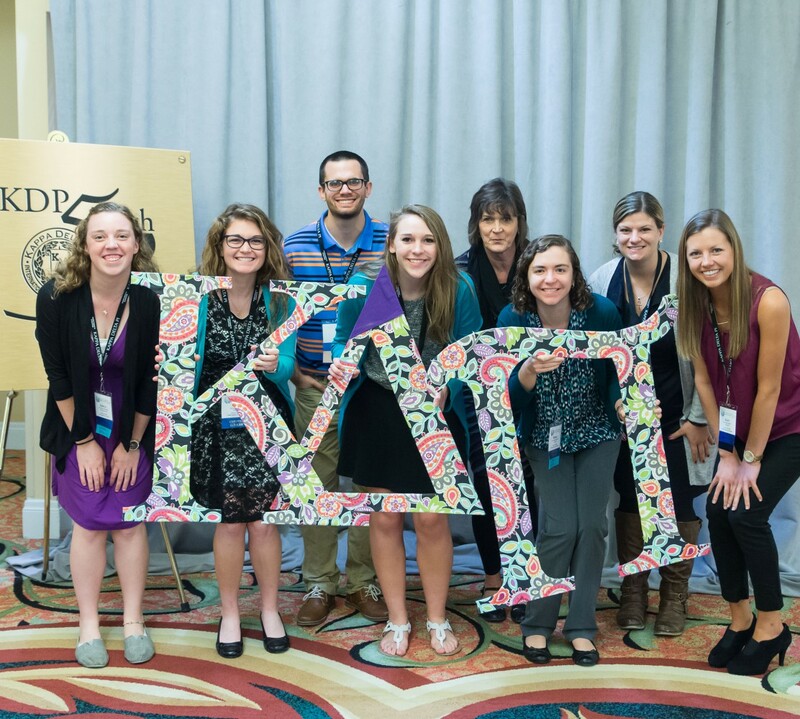 I will be relinquishing my position as Executive Director of Kappa Delta Pi at the end of December 2018. I am so fortunate to have had the opportunity to work with such dedicated and hard-working staff, volunteers, and board members who share my belief that there is no profession as important as teaching. In our role of serving and supporting you—members of the KDP community—we celebrate your successes and share your concerns and challenges. Over the years, I developed many special and supportive friendships for which I am most grateful. It is because of so many of you who have served as volunteers and leaders, who have taken on projects and so generously shared your expertise, that KDP and I have been successful in serving educators and contributing to the teaching profession. As I reflect on my tenure with the Society, I’m pleased that we have been able to offer financial support to our practicing professionals through our Classroom Teacher Grants; have grown internationally, which has served to enrich the KDP community; have become an NGO of the United Nations, which has allowed KDP to be a leader in sustainable education; and have increased our professional support of all educators, including a soon-to-be-announced professional development program. None of these things would have happened without the commitment and hard work of so many people, both members and staff. Some of you may be familiar with my “Faye-isms,” which have become part of the Headquarters culture. These are phrases I frequently use in discussions about members and the development of resources and services. I would like to conclude this note with a few as a reminder of what drives the work we do. This has been true from the day Kappa Delta Pi was founded in 1911. In one way or another, people want to connect with others and for professionals, it is the best way to improve our practice. There is a lot of talk in the media and in politics about what teachers want and need in order to be successful; and often education reforms fail because actual teachers were never consulted. We strive to keep educators involved in all decisions made regarding membership benefits, events, and programs. It’s 2018. The reality is that our lives are over-programmed; we are all busier than we ever imagined. We have made it a priority to design positive experiences from the first day of KDP membership. While it will be difficult to leave, I deeply appreciate having had the honor and privilege to serve you—you who make the difference in the lives of our youth every single day. I will miss you, but I am excited about KDP’s future and the many new opportunities that are on the horizon. I look forward to seeing a new leader advancing KDP’s important mission to the next level.